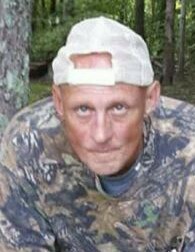 Patrick "Mick" Wayne Cook, 57, of Stanford, KY passed away on Thursday, March 28, 2019. Born on January 7, 1962 in Kings Mountain, KY, he was the son of Martha Cook Taylor and Step-father, Donald Taylor. For most of his life he was a tattoo artist where he worked and operated Sunrise Tattoo Studio in Nicholasville, KY. Patrick was a very talented artist, he was an exceptional musician and painter as well. In addition to his mother, survivors include one son, Patrick Orien Cook of Nicholasville, KY; three brothers, Clark Cook (Teressa) of Minford, OH, Randall Taylor (Whitney) of Lancaster, KY and Donnie Taylor (Beth) of Owensboro, KY; two sisters, Donna Owens (Mike) of Stanford, KY and Karen Reed (Stephen) of Harrodsburg, KY and several nieces and nephews. A graveside service will be held at 2 p.m. on Monday, April 1, 2019 at Cooks Point Cemetery in Kings Mountain, KY.